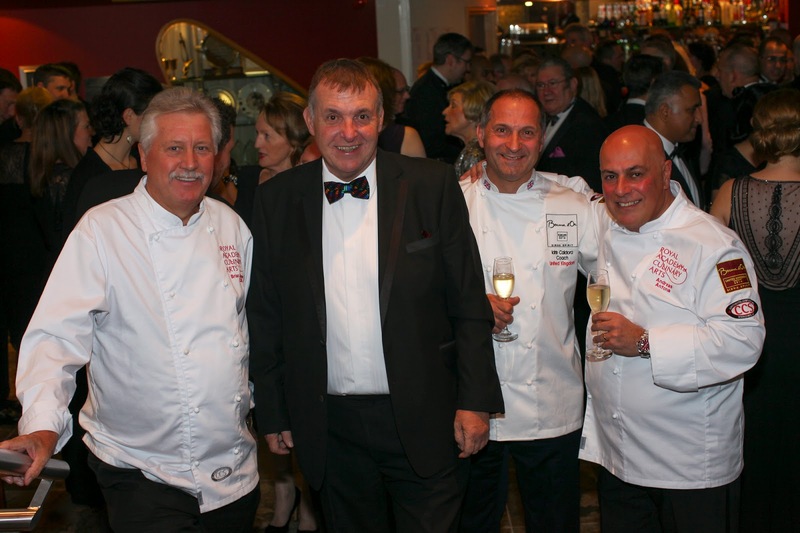 Bocuse d’Or Team UK is delighted to announce that the fundraising dinner at University College Birmingham on Friday, November 28 raised £25,000. Guests arrived to a Champagne reception sponsored by Moet & Chandon. The five course dinner was prepared by the University’s Level 3 catering students with fish provided by M & J Seafood and meat provided by Aubrey Allen. Paul Bocuse wines were kindly donated by Berkmann wines and served during the meal. The event was held to raise much-needed funds to support Adam Bennett and Josh Allen before they head to Lyon for the Bocuse d’Or World Final on Tuesday, January 27. It will go towards the cost of sending the team to Lyon, raising awareness of the competition in the UK and subsidising the travel and sustenance of students who will be attending supporters. UCB Principal Ray Linforth and UCB chair Andreas Antona organised the event, which was attended by team President Brian Turner CBE and Idris Caldora team coach. Former BBC swimming commentator Hamilton Bland hosted the auction which included many generous prizes donated by the industry and top UK chefs.